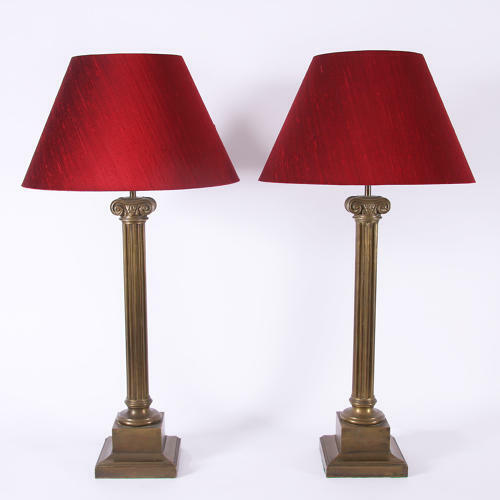 Pair of brass Ionic column table lamps. Measurements above are without the shade. With the shade: Height 90cm, Width 45cm, Depth 45cm. Re-wired.